Next week we'll be checking out both of these operas. Check back soon for our full reviews. *Do note, The Life and Death(s) of Alan Turing is the result of a week-long workshop through COT's Vanguard Initiative. This opera is still in progress, so it will not be reviewed as a complete work. 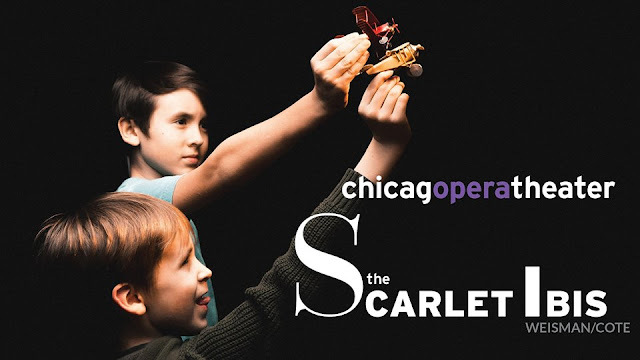 Chicago Opera Theater (COT) continues its 2018/2019 season with the Chicago premiere of the contemporary opera “The Scarlet Ibis.” Composed by Stefan Weisman with libretto by David Cote, “The Scarlet Ibis” was declared an “outstanding new chamber opera” by David Allen of The New York Times upon its debut at the 2015 Prototype Festival. Chicago Opera Theater presents the first full production of this operatic adaptation of James Hurst’s 1960 short story (apart from its festival debut), featuring the artistry of stage director Elizabeth Margolius and conductor David Hanlon. The opera stars Annie Rosen (who also performed in COT’s season-opening production of “Iolanta”) as Brother and Jordan Rutter as Doodle. 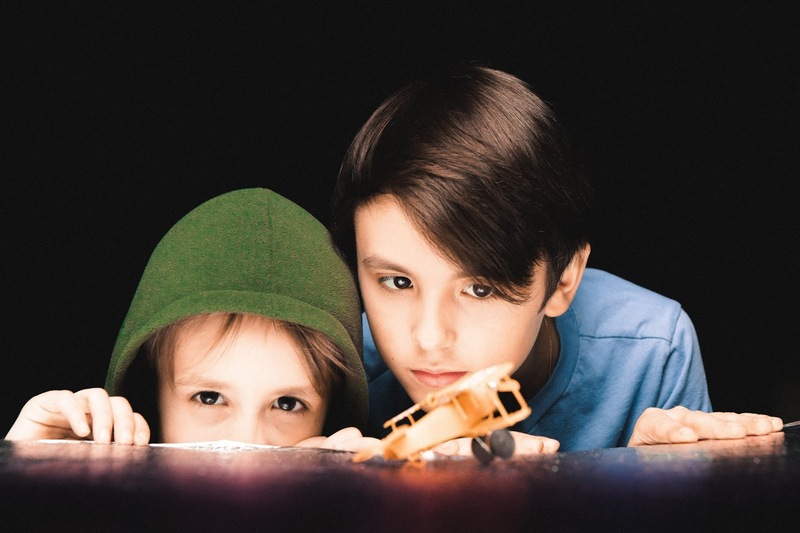 The opening night and press performance takes place Saturday, February 16 at 7:30 p.m. at the Studebaker Theater (410 S. Michigan Ave.) Additional performances will take place Thursday, February 21 at 7:30 p.m. and Sunday, February 24 at 3 p.m.
Tickets for “The Scarlet Ibis” ($45 - $145) can be purchased by calling 312.704.8414 or by visiting chicagooperatheater.org. For tickets to see “The Life and Death(s) of Alan Turing,” visit cot.org/Turing. Stefan Weisman’s music has been described as "personal, moody and skillfully wrought" (The New York Times). 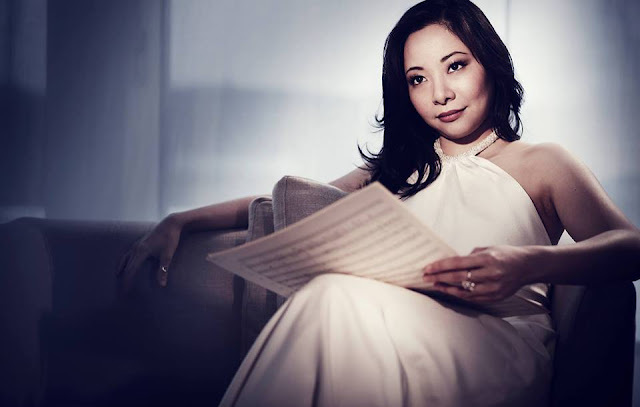 His compositions include chamber, orchestral, theater, dance and choral pieces, and he has specialized in vocal works that explore edgy and compelling topics. His operas include “Darkling” (American Opera Projects), “Fade” (Second Movement), and “The Scarlet Ibis” (produced by HERE and Beth Morrison Projects and premiered in the 2015 PROTOTYPE opera festival). He is a graduate of Bard College (BA), Yale University (MA), and Princeton University (PhD). Presently, he is on the faculty of the Bard High School Early College in Queens, New York. David Hanlon is a composer, conductor and pianist praised by Maestro Patrick Summers as “one of the major compositional voices of the young generation.” He has often written work for Houston Grand Opera, including his chamber opera “Past the Checkpoints” about undocumented immigrants, the chamber vocal piece “The Ninth November I Was Hiding,” about his grandfather's arrest during Kristallnacht and “Power,” based on a text by a high-schooler about bullying. Hanlon was recently commissioned by the Opera For All Voices consortium to write a new chamber opera with librettist Stephanie Fleischmann, and recently conducted the premiere of his and Fleischmann's chamber opera “After the Storm” at Houston Grand Opera. Chicago Opera Theater joins American Lyric Theater to bring this new opera to life as part of the Vanguard Initiative. After a week of workshops, COT presents a full concert performance of Justine F. Chen and David Simpatico’s intense and beautiful new work. Featuring the Bienen School of Music Contemporary and Early Vocal Ensemble of Northwestern University, tenor Jonas Hacker (Lyric Opera’s Fellow Travelers), and baritone Jonathan Michie in the title role, don’t miss your chance to see this one-of-a-kind concert.